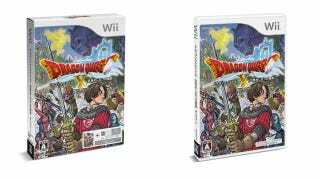 Via Amazon, the official boxart for Dragon Quest X has made its way online. I like it! And I'm not alone. However, reading through Japanese forums and websites, there are also those who don't seem exactly bowled over. Screw them! DQX looks cool.